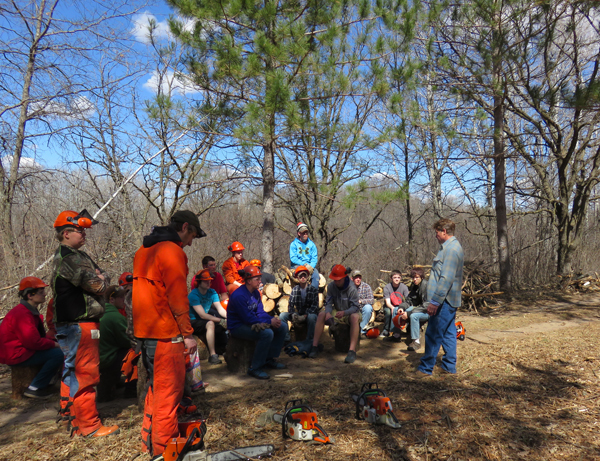 Every semester at Little Falls High School in Central MN, 25 students learn about sustainable forestry in an outdoor classroom. Great River Greening is partnering with the school to teach stewardship practices and talk about career options in resource management. Last year, class presentations and field work reached over 200 students. This year, engagement went a level deeper with the students adopting the park. Great River Greening ecologist, Steve Thomforde, worked with the teacher to identify the work, and provide ecological context and guidance. 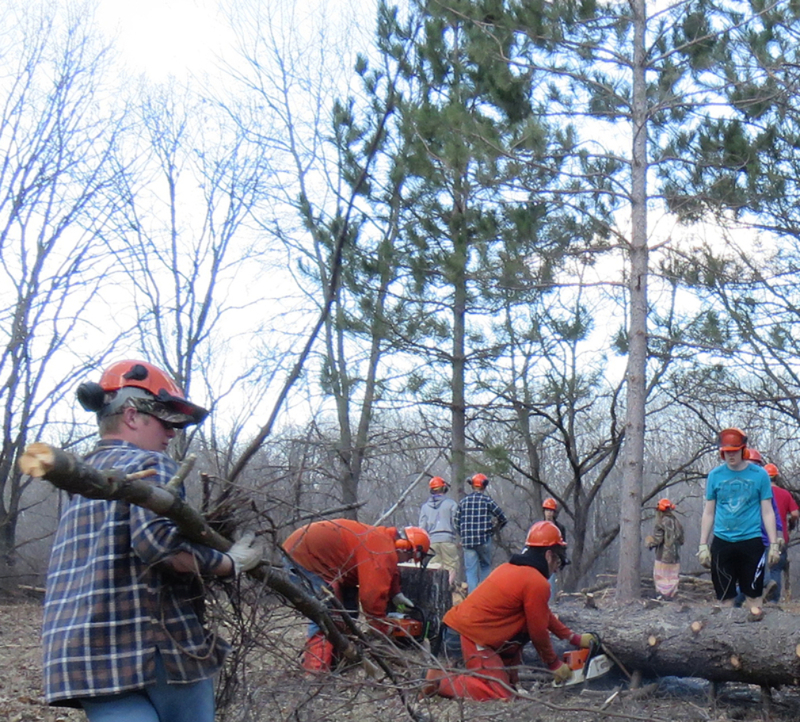 “These students appreciate being outside and getting real-world, hands-on experience. 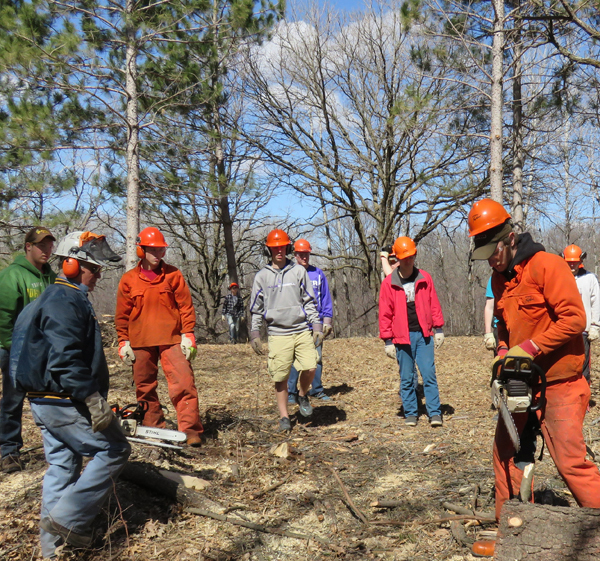 This spring, they helped prep a site near the river for a prescribed burn by removing invasive species, and it gave them an opportunity to use chainsaws and learn about forest ecology.” -Instructor Doug Ploof. By working with community youth throughout the project Great River Greening is laying the groundwork for future careers in the growing green jobs industries. -Steve Thomforde, Great River Greening ecologist. 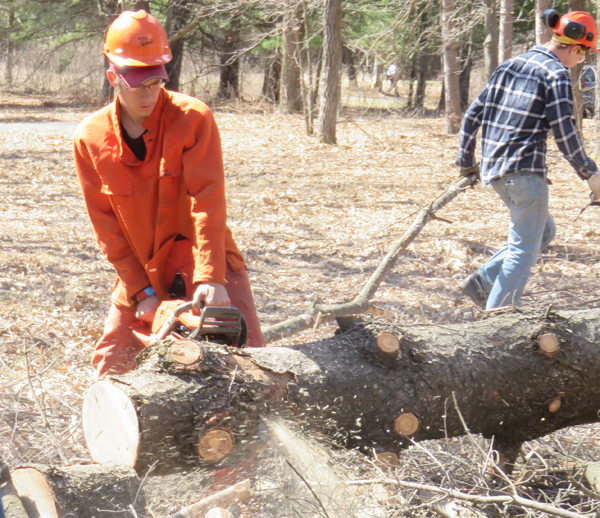 Brenan, a senior at the school, is among many of the students that say learning the hands-on process of forest ecology has peaked their interest. 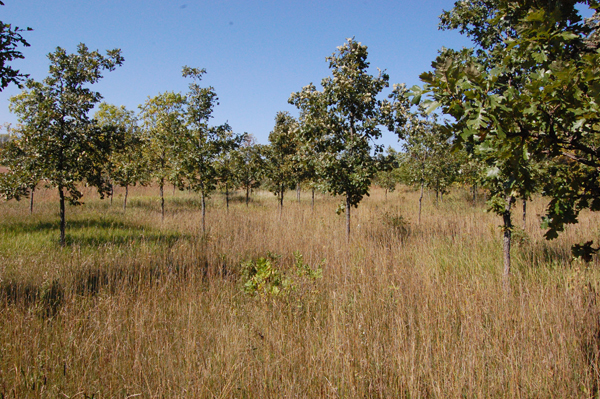 Belle Prairie County Park is a rare tract of woodlands and prairie that includes oak savanna habitat with three state-listed rare plants. Only about one percent of the presettlement prairies in Minnesota still remain, making remnants like this one especially significant. The project was made possible by the Initiative Foundation.